Members of ITE are engineers, planners and other professionals with knowledge and competence in transportation and traffic engineering and planning. They contribute individually and collectively toward meeting society’s needs for safe and efficient surface transportation through planning, design, implementation, operations and maintenance. 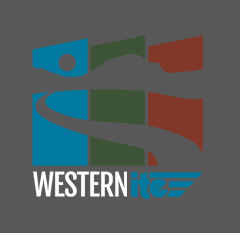 ITE has over 15,000 members worldwide and over 4,000 members in the Western District. The largest proportion of members in the Western District are from California. There are five grades of membership in the Institute: Student Member, Member, Fellow, Honorary Member and Institute Affiliate. A Student Chapter Member is not automatically a Student Member of the Institute. Qualified students are strongly encouraged to belong to both the Chapter and the Institute. The right to vote in ITE elections is held by Members, Fellows and Honorary Members. International ITE also recognizes two other levels of membership (Lifetime and Retired) that are not established within the Western District. A Student Member shall be enrolled in a graduate or undergraduate transportation related program at a school of recognized standing AND not be otherwise eligible for another grade of membership. Student Membership shall cease if a Student Member withdraws from the transportation related program. If the Student Member accepts a position in the field of transportation or traffic engineering within one year of graduation, the Student Member shall become an Associate Member upon application. A Member must be a graduate of a school of recognized standing in transportation-related programs or if not a graduate from a transportation related program, had five years of professional experience in the field of transportation or traffic engineering. A Fellow must have been a Member of ITE for at least five years and attained significant professional stature, including professional registration or certification. There is no direct admission to the grade of Fellow. If a member/fellow has been with ITE for 25 or more years as an associate member or higher status and is retired and is 65 years or more in age, they achieve lifetime status. This is the highest level of membership and achievement within ITE. An Honorary Member is selected by the International Board of Direction and must receive 75 percent affirmative votes of the International Board of Direction. An Institute Affiliate is a person that is otherwise not eligible for Institute membership but is engaged in transportation or traffic engineering related work OR is in a related field who by virtue of stature or official position is in a position to contribute to the work of transportation professionals OR is engaged in commerce or industry and comes in frequent contact with transportation professionals and who has an interest in the profession or is in position to work with and assist transportation professionals. Note: International and local section/chapter dues are charged separately and vary depending upon the membership level, council activity and local section/chapter dues structures.